A powerful tool that streamlines your payroll processes with its simple-to-use platform. It saves you hours of manual calculations and filing with our automated processes so that you can concentrate on what is important. Your truly one-stop employee portal. It saves you from tons of paper work by centralising and digitise all your employee documents and information. It also automates the process of drafting the employment letter! What's more? The system will remind you on the deadlines too! LEAVEeasily is an awesome module that handle your leave management smartly. It provides the conveniences for employees to access the platform with any devices to apply leave from anywhere at anytime! With Claimeasily feature, employees can now capture receipts and submit claims for their work expenses with their mobile device. 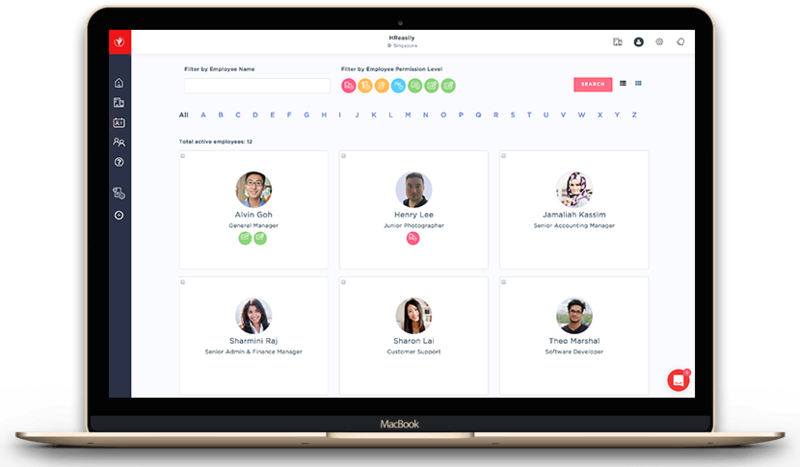 Timeeasily is a powerful time and attendance features that integrates with payroll. It can connect to any hardware device such as Point-of-Sales or fingerprint scanners. UAutomates CPF, SDL, CDAC, MBMF, SINDA contribution calculations on behalf of each employee for submission to the CPF board. The setup is so easy that anyone with no knowledge on payroll and software will know how to setup. It only takes 10 minutes, start saving time and money now. The data is backup-ed on a daily basis and all of the information is protected across multiple servers so that it remians secure and obtainable. We understand how important is the data for the company. Hence, we do daily backups and need 2-factor authentication in order to login. HReasily is designed to simple-to-use for everyone. We go the extra mile by developing a Mobile App so that employee can apply leave & claim, view the progress and payslip, etc. easily. Employer can also approve it on the go with mobile app too!